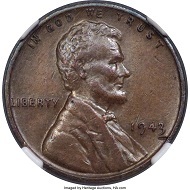 January 17, 2019 – An uncorrected reporting error republished by more than 1,000 media outlets worldwide negligently included a bogus pre-auction estimate of the 1943 Bronze Lincoln Cent auctioned January 10, 2019 by Heritage Auctions. This cent was estimated with $170,000 to $200,000, not with $1.7 million as more than 1,000 media outlets have written. Photo: Heritage. South West News Service (SWNS), a global wire service, issued an article to its subscribers stating that the coin was expected to sell for the inaccurate estimate of $1.7 million. The correct estimate from Heritage was $170,000 to $200,000. The error was simply a made-up number by a staffer at SWNS based on an internet search result of a much rarer but similar coin. SWNS’s number was not in any press materials provided by Heritage to the service. The final article was never approved by or fact checked with Heritage Auctions before it was sent to the wire service’s customers. While the erroneous estimate was not attributed to an auction house expert or representative, many of SWNS’s media clients naturally assumed the figure had come from Heritage. SWNS admitted its error via email to Heritage Auctions on Jan. 8, 2019, shortly after erroneous stories appeared in prominent media outlets just two days before the coin was set to sell at auction. However, the mistake was not corrected before media outlets published articles around the world. 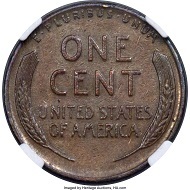 The coin sold for $204,000, well in line with Heritage Auctions’ original estimate of $170,000 to $200,000. It was part of a very successful January 6-16, 2019 series of numismatic auctions by Heritage, which realized over $70 million, well exceeding pre-sale estimates. The error has ultimately become the basis of misleading and, in some instances, damaging post-auction news reports by some of the worlds’ most widely read media outlets. Heritage Auctions strives to provide its clients accurate and transparent pre-sale estimates at all times. SWNS’s error has cast a pall on the successful sale of one of America’s most famous coins. Heritage is demanding that the wire service issue a worldwide correction and that its representatives contact those media outlets that have published misleading and negative articles to set the record straight. More information on Heritage Auctions is available on the official website.